Pangu jailbreak team releassed now pangu 1.2.1 jailbreak update for crashing issue fix for windows. this update is good news for all of windows users. pangu team befour released pangu 1.2 jailbreak update fix boot loop error fix and some errors fix. pangu developed by pangu team of china. you can jailbreak pangu 1.2.1 jailbreak running iOS 7.1.2, iOS 7.1.1 and iOS 7.1 version with untethered jailbreak pangu. you can jailbreak iPhone 5s, iPhone 5c, iPhone 5, iPhone 4s, iPhone 4, iPad 2, iPad 3, iPad 4, iPad Air, iPad Mini, iPad, iPod Touch devices Download pangu 1.2.1 only for windows users and you can download pangu 1.2.1 jailbreak, pangu 1.2 jailbreak, and pangu 1.1 jailbreak on our site free and directly. step by step guide and video guide pangu 1.2.1 for your help to jailbreak. Download pangu 1.2 jailbreak for boot loop issue iphone 4 and iphone 4s users. many apple users report pangu welcome screen stuck, bug fixes and improvements. after pangu jailbreak team released pangu 1.2 jailbreak update for fix this all errors. you can jailbreak iOS 7.1.2, iOS 7.1.1 and iOS 7.1 using pangu jailbreak tool. pangu untethered jailbreak you can download jailbreak your iPhone 5s, iPhone 5c, iPhone 5, iPhone 4s, iPhone 4, iPad 2, iPad 3, iPad 4, iPad Air, iPad Mini, iPad, iPod Touch devices. pangu 1.2 jailbreak also install afc2 on during pangu jailbreak, you can give access full file system. after you can install cydia Saurik’s AFC2 package. pangu 1.2 supported for Mac and windows operating systems and you can download pangu 1.2 jailbreak free and directly. iPhone 4 and iPhone 4s boot loop bug fix. Task for pid patch added. Pangu jailbreak step by step guide and video guide and don’t forget befour you start pangu jailbreak process turn off passcode, backup using iTunes on your device and make sure you device running iOS 7.1, iOS 7.1.1 and iOS 7.1.2. vist this link for more details for pangu 1.2 jailbreak for iOS 7.1.2 jailbreak. Pangu untethered jailbreak released for iOS 7.1, iOS 7.1.1 and iOS 7.1.2 jailbreak any apple iphone, ipad or ipods. many apple uses have a problem how to fix pangu boot loop issue after jailbreak. reddit user complains this boot loop issue ask a solutions. “I have an iPhone 4 and i did jailbreak with Pangu. I have bootloop everytimes i try to restart my phone. “I KNOW THIS SOUND CRAZY, but it seems like a bug caused by light sensor. If your phone is in the dark you will get stuck in the bootloop. If you point a flashlight above the light sensor, boot goes well. This also works if you get stuck on “Pangu welcome screen”. pangu 1.0 released for jailbreak iOS 7.1 and iOS 7.1.1 jailbreak. but pangu 1.0 jailbreak have boot loop error and bug support. it’s work on chinese language and only work windows not compatible for Mac OS. if you can using this video, fix your boot loop problem or you can download panu 1.1 update fix this error. you can download pangu 1.1 jailbreak update and fix pangu boot loop problem. pangu 1.1 released for some bug fixes and boot loop error fix. it’s update working on English interface and supported Mac and windows OS. you can download pangu 1.1 jailbreak update and fix your boot loop error and bugs. pangu 1.1 change log and download pangu 1.1 direct download links for mac and windows in here. Pangu Boot loop error fixes. iOS 7.1, iOS 7.1.1 and iOS 7.1.2 jailbreak with pangu step by step guide, video guide and pangu jailbreak more details for visit our pangu 1.1 jailbrek iOS 7.1.2. like and share for more latest jailbreak news and updates. Pangu jailbreak iOS 7.1.2 are now available with pangu jailbreak. world apple users has many problems iOS 7.1.2 jailbreak today i am going to show you, how to jailbreak iOS 7.1.2 on your running iOS 7.1.2 iphone, ipad or ipods. first you need a jailbreak tool for jailbreak your devices. iOS 7.1.2 jailbreak supported jailbreak tool is pangu 1.1. pangu jailbreak tool is developed by pangu team from chinese. next we know, what are the devices pangu support.? pangu supported iPhone 5s, iPhone 5c, iPhone 5, iPhone 4s, iPhone 4, iPad 2, iPad 3, iPad 4, iPad Air, iPad Mini, iPad, iPod Touch apple devices. you need this all of things for jailbreak iOS 7.1.2 jailbreak pangu. you can download pangu 1.1 Mac and windows. it’s supported english language and fixes boot loop problems and bug errors. pangu untethered jailbreak using you can iOS 7.1, iOS 7.1.1 and iOS 7.1.2 jailbreak. Apple iPhone 5s, iPhone 5c, iPhone 5, iPhone 4S and iPhone 4. Apple iPad Air, iPad 4, iPad 3, iPad 2. Apple iPad mini, Retina iPad mini. jailbreak iOS 7.1.2 untethered step by step guide and more details for you need to know about iOS 7.1.2 jailbreak. pls like and share for jailbreak news and updates. Download pangu 1.1 for untethered jailbreak your iPhone, iPod or iPod running iOS 7.1, iOS 7.1.1 and iOS 7.1.2. pangu download compatible on download Mac and Windows. pangu jailbreak developed by pangu team and it’s running English language. pangu team was released pangu 1.0, supported chinese language and compatible on only windows. after released pangu 1.1 jailbreak update and it’s support English language and Mac and Windows operating systems. pangu 1.1 released for boot loop bug fix and many bug fixes. pangu is not include any malware or spyware, confirmed by world iOS hackers. pangu 1.1 compatible with iPhone 5s, iPhone 5c, iPhone 5, iPhone 4s, iPhone 4, iPad 2, iPad 3, iPad 4, iPad Air, iPad Mini, iPad, iPod Touch. you can directly and free pangu download. Update pangu 1.1 released for Boot loop fix for some apple device. Running Windows or Mac OS X computer. Install latest iTunes on your computer. Running iOS 7.1, iOS 7.1.1 or iOS 7.1.2 iphone, ipad, ipod. Via USB cable for connect your iDevice to computer. 30 minutes on your time. When your jailbreak are crashed you can try restart your device for beginning. Almost supported iOS 7.1, iOS 7.1.1 and iOS 7.1.2 running device untethered pangu jailbreak. Some device stuck in apple logo and you can try restart your device. pangu 1.1 released for this problem. Pangu jailbreak avallable for pangu mac and windows OS usres. Untethered pangu jailbreak is clean without any spyware or malware. You need a backup your iPhone, iPad, iPod befour start jailbreak process. Turn off all passcodes and touch IDs. All process stop with iTunes and iCloud. Download pangu on your Windows or Mac OS X computer and run it administrator. Connect to your iphone, ipad or ipod to computer in via USB cable. Wait few seconds identify your device model to pangu. Uncheck the check box. you have make it sure. After click jailbreak button to start jailbreak process. Now restart your device and wait for process complete. Change after install cydia, date and time your device finish jailbreak process. iOS 7.1.2 jailbreak with pangu 1.1 jailbreak tool. pangu is now available for iOS 7.1, iOS 7.1.1, and iOS 7.1.2 running iphone, ipad ipods. pangu team released new pangu 1.1 support for Mac and Windows operating systems and it’s compatible on English language. Pangu chinese team After released pangu 1.0 jailbreak. but it’s work chinese language and only compatible in windows OS. pangu 1.0 tool have boot loop and bugs problems. now pangu team released pangu 1.0 all problems fixes. now you can download pangu for iOS 7.1.2 jailbreak directly. 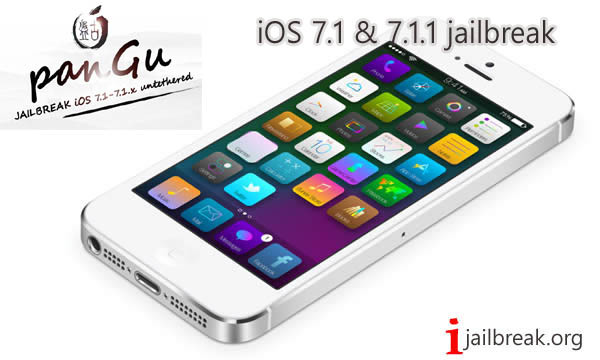 iOS 7.1.2 pangu jailbreak step by step guide and download pangu 1.0 visit this link. like and share get more jailbreak update and direct download any jailbreak tool free. 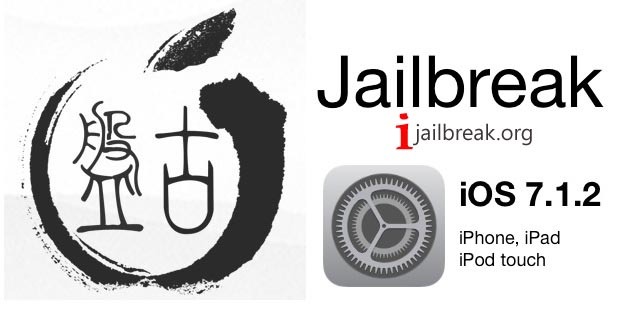 Update – iOS 7.1.2 jailbreak supported for pangu jailbreak tool. you can jailbreak iOS 7.1.2 running iphone, ipad, and ipods jailbreak using pangu untethered jailbreak. pangu 1.1 released for boot loop fix for some devices. File size 79 MB to 30 MB reduced. Download pangu 1.1 to your computer. Run pangu.exe as a administrator. Connect your device to computer and wait to identify your device. After make sure uncheck the check box. You will need wait few minutes and after restart your device. Install cydia to your device, Success the jailbreak process and now you can change your time and date correctly. you can download pangu 1.0 version and iOS 7.1 jailbrek steps guide, video guide and more about pangu visit this link. how to jailbreak iphone 5s using pangu steps and viceo guide click here. You have iPhone 5s running iOS 7.1 or iOS 7.1.1. now you can jailbreak iphone 5s using pangu jailbreak. pangu is released by chinese team and it’ called neme is pangu. easy steps now can jailbreak iphone 5s and all iphone, ipad and ipod. pangu is running chinese language and you can download pangu for Windows and Pangu mac operating systems. pangu is compatible with iPhone 5s, iPhone 5c, iPhone 5, iPhone 4s, iPhone 4, iPad 2, iPad 3, iPad 4, iPad Air, iPad Mini, iPad, iPod Touch and pangu is untethered jaibreak.you can iphone 5s jailbreak and direct download pangu, steps guide and video guide in this post. First Download Pangu to your computer. Connect your iphone 5s to computer via USB cable. Make sure your running iOS 7.1.1 iphone 5s. Click jailbreak button and waiting for pangu jailbreak process. After change your date and time on iphone 5s. path : settings> date and time and set time June 2nd 2014. Finish jailbreak process iphone 5s time date change on real time. you have iPhone 5c, iPhone 5, iPhone 4s, iPhone 4, iPad 2, iPad 3, iPad 4, iPad Air, iPad Mini, iPad, iPod Touch, you can jailbreak. steps guide, direct download pangu jailreak free and video guide visit this link. direct download any jailbreak tools and more guide about jailbreak any apple device on ijailbreak.org. pls like and share and with your friends. Install cydia iphone 5s now you can evasi0n7 jailbreak. you have a running iOS 7.0, iOS 7.0.1, iOS 7.0.2, iOS 7.0.3, iOS 7.0.4, iOS 7.0.5, iOS 7.0.6 iphone 5s devices you can jailbreak evasion7 1.0.8. but you have iOS 7.1 or iOS 7.1.1 running device you can’t jailbreak it. why is that? iphone 5s have not compatible jailbreak tool. evad3rs not released for iOS 7.1 jailbreak tool. iOS 7.1 and iOS 7.1.1 latest jailbreak tool is geeksn0w. but geeksn0w jailbreak is only support iphone 4. evasion7 1.0.8 jailbreak you can jailbreak iphone, ipad, and ipod running iOS 7.0 to iOS 7.0.6. download evasi0n7 1.0.8 for jailbreak iphone 5s. 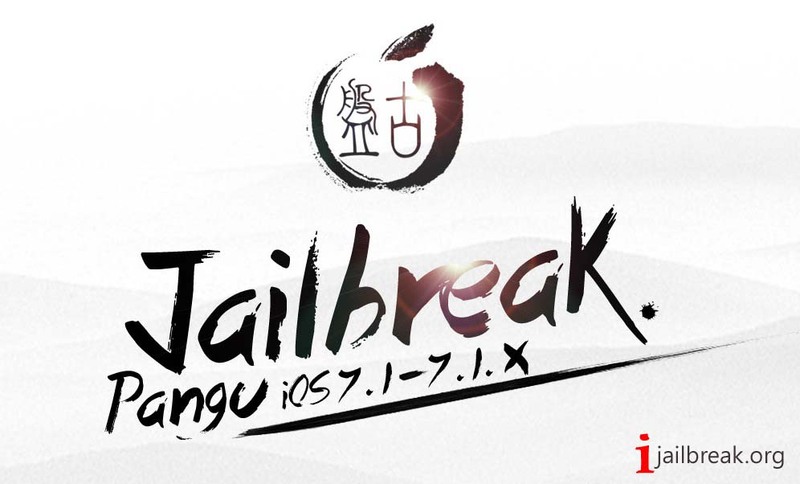 iOS 7.1, iOS 7.1.1 and iOS 7.1.2 jailbreak are now available with pangu jailbreak tool. step by step guide, video guide and compatible devices and direct download pangu 1.1 free and directly our direct download links. click download now button download pangu dircetly. 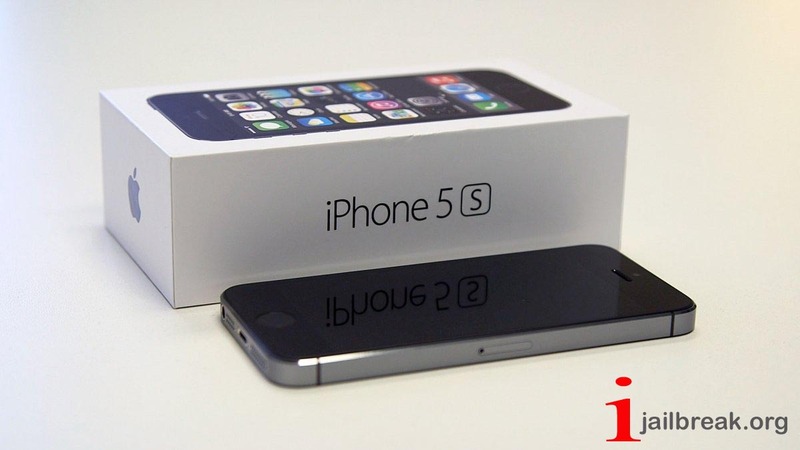 Cydia install iphone 5s steps guide and video guide click this link. you can download latest jailbreak tool for free and toy can learn how to jailbreak step by step guide and video guide in ijailbreak.org. pls like and share with your firends for latest jailbreak updates and direct download. evad3rs released evasi0n7 jailbreak iOS 7.0 to iOS 7.0.6 for iphone, ipad, ipod. evasi0n7 is most popular jailbreak tool in the world and new released tool evasi0n7 1.0.8. you can download evasi0n7 1.0.8 for windows and mac operating system. evasi0n7 compatible with iPhone 5s, iPhone 5c, iPhone 5, iPhone 4s, iPhone 4, iPad 2, iPad 3, iPad 4, iPad Air, iPad Mini, iPad, iPod Touch.you can jailbreak iOS 7.0 , 7.0.1 , 7.0.2 , 7.0.3, 7.0.4, 7.0.5, 7.0.6. running devices with evasi0n7 1.0.8 jailbreak. iOS 7.1 jailbreak not compatible evasion7 jailbreak. geeksn0w jailbreak tool is only one jailbreak tool for iOS 7.1 and iOS 7.1.1 jailbreak. you can direct download geeksn0w latest jailbreak tool and geeksn0w jailbreak step by step guide and video guide click here. evasion7 1.0.8 jailbreak steps guide and video guide click this link. 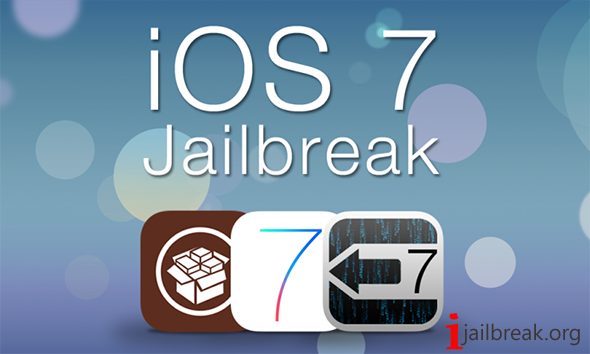 iOS 7.1 not support evasion jailbreak and geeksnow is compatible jailbreak for iOS 7.1 and iOS 7.1.1 jailbreak. but you can jailbreak only iphone 4 device with downloading geeksn0w tool. you can download any jailbreak tool direct download and steps guide, video guide in our site.